The best way to solve dead car battery problem or if a car battery no longer holds enough of a charge is simply buy the new one. But like almost every one of us, we tend to count our money and keep it in our purses whenever is possible. You do not have to do that. You may still be able to bring your battery back to life through a process called reconditioning. Here you will learn how to recondition batteries and save your money. 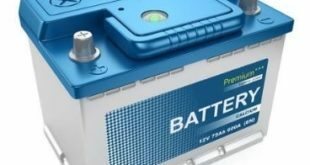 The degradation of a battery is most commonly caused by sulfation, which is the result of sulfur crystalizing on its lead plates, thus preventing it from generating an electrical charge. When you recondition car batteries, you are actually breaking up the sulfur crystals and bringing back its capacity to generate electrical charges. This process can work for up to five times before you can finally say that it is indeed time to throw your battery away. There are several reasons why you should recondition car batteries and one of the primary reasons should be to help save the environment. Statistics indicate that about 50% of batteries are thrown into landfills simply because the owners did not know that they can still be reconditioned. Now that you know it’s possible, you can start helping reduce the amount of waste in our landfills by reconditioning your own batteries. Reconditioning your batteries can also help you save a considerable amount of money. With the rising cost of new ones, it is definitely very practical to get as much use as you can out of your existing car battery. But, that’s not all; battery reconditioning can even help you earn money on the side. 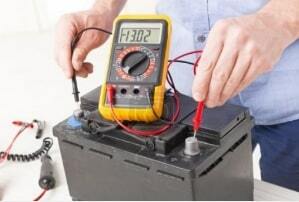 Many people do not know how to recondition batteries and are just too busy to learn. Offer to recondition their batteries at a much lower fee than what is charged in auto shops and you are sure to have a bustling home business. Test the battery’s voltage. It should register a minimum of 12 volts. Otherwise, it is ready for a trip to the landfill. Heat half a quart of distilled water to 150 degrees Fahrenheit and then dissolve eight ounces of Epsom salts in it. Remove the battery caps. For sealed batteries, drill a hole into the shadow plugs that cover the openings. Drain the battery of any fluid and then fill each battery cell with the Epsom salt solution. Use a plastic funnel to prevent spillage. Replace the battery caps or insert rubber plugs into the holes and then shake the battery to make sure that the solution is well-distributed in the battery cells. Place the battery on a slow charge for about 24 hours and then test it. It may be necessary to recharge the battery for another two to three days to bring it back to full working capacity. Practice working on an old or abandoned battery. Once you have mastered the process, you can proceed to recondition your own car battery. 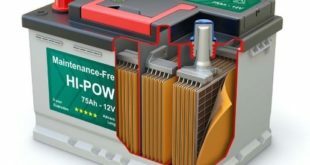 You may also start your home battery reconditioning business as soon as you’re confident enough that you know the process as well as the back of your hand. Reconditioning batteries can save you thousands of dollars. I actually recondition batteries as a side business (and it’s quite profitable). The easiest way is to purchase a brand new car battery but the smartest decision is reconditioning your old car battery. You can always find valid car battery coupons here. How Much Does a Brake Fluid Flush Cost and When To Do It?